Meeting House - Social Skills – Misbehaved or Sensory Overload? Our OT speaks out. Some children who are described as being lazy may actually have decreased muscle tone which leads to decreased endurance. Their trunk control and strength is low and therefore leads them to slouching or lying down. In an activity like circle time, this behavior may be misinterpreted as laziness or inattention and often leads to constant reminders to sit up and pay attention. To help children have more success during circle time, position them somewhere they can lean up against the wall or sit in someone’s lap. This takes away some of the physical work and allows them to be a more active participant during this part of the day. Children are often labeled as “annoying” if they are constantly bumping into their friends or giving unwanted hugs. Instead of thinking of them as annoying, consider that these children may actually have decreased body awareness and not realize the inappropriateness of their actions. Children with decreased body awareness find the input from hugs and other deep proprioceptive input to not only feel good but to help their body feel organized. There are children who talk too loud or make strange noises for no apparent reason. Though this may seem annoying, it is sometimes difficult for a child with self-regulation issues to control the volume of their speech or the abruptness of their input. Teaching these children strategies about using an inside voice is important and requires patience. One helpful strategy for children with these issues is to establish some kind of visual prompt that can be displayed by an adult when the child becomes too loud or disruptive. It can be frustrating when a child seems to ignore you. They can look right at you and stare blankly back. You may have to repeat yourself over and over. Children who “misbehave” in this way may actually suffer from auditory processing disorders. They will have a difficult time understanding questions, finding an answer and then expressing that answer verbally. It’s important for parents and professionals working with children to be mindful of their frustrations and consider how the child feels when not being understood or heard. One frustration I hear constantly from parents is that their child never stays still. They are constantly moving, crashing into things and people and never seem to tire until bedtime. During the day, they are moving from activity to activity, often not completing anything. Educators or caregivers can find this behavior disruptive to the flow of the day and may punish the child though they may not be doing this intentionally. 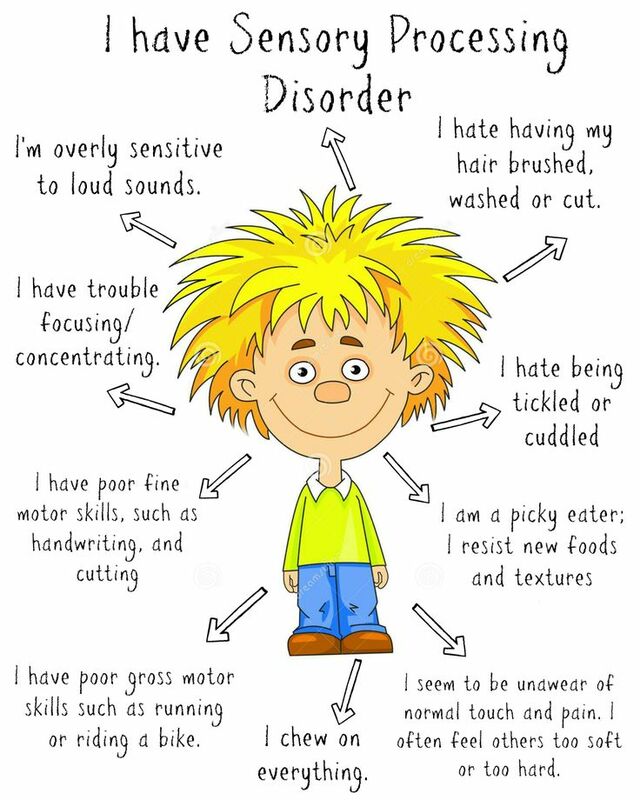 Children can show signs of ADHD at a young age and lack impulse control, which can be challenging for many individuals. Allowing the time and space for mindfulness and other relaxation techniques is helpful for a child with ADHD tendencies and can help them focus during structured activities.